Uzzil went above and beyond. She has provided us with sound guidance along the way and is great at diffusing stressful situations. Uzzil is very professional, devoted, polite and extremely knowledgeable. She was in every step of the way helpful and insightful. She made our house buying experience awesome. We highly recommend Uzzil and her team. Uzzil did a wonderful job helping us sell our home very short notice. I was a bundle of nerves but she was very calm, assuring and knew the market well. Uzzil is a workaholic and responded to any concerns I had almost immediately; she even provided me a contact to help my family find a home in our new town. In the end we accepted an offer in less than four days and for more than I thought possible. If I could give her more stars I would. My family is extremely grateful and happy to have worked with a realtor like Uzzil; she is unmatched. 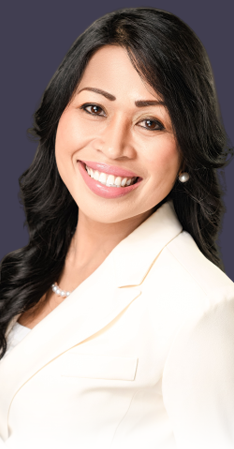 Uzzil Batucan is without any doubts the best realtor Anchorage has to offer. She’s a very hard worker ( seems like she never sleeps ), always very positive, honest, profession and truly cares about her clients. She was willing to work with me at any time even though I was looking for a very low priced condo ( small commission ). She managed to get it done and I was able to buy my “first home”. Throughout the whole process she always answered all of my questions, no matter how obvious they were and made me feel like a high valued client. I’m still amazed that she put so much effort into this deal and ultimately made it happen. Not only did we find what I was looking for also managed to find it exactly where I want it. I’m very happy that I chose Uzzil. I would definitely recommend Uzzil to any of my friends and family ( already did today ). I’m looking forward to work with Uzzil again to acquire a second property. Uzzil went above and beyond when my husband and I purchased our first house. She was easy to talk to and competent. She was in every step of the way helpful and insightful. She is an amazing realtor and we are satisfied with her service. I would highly recommend her! Uzzil helped us sell our 4plex. She is very professional, honest and considerate. Excellent communication skills and great customer service. She was always available to answer our questions. She is very knowledgable with what she does. HIghly recommend her to assist you with either buying or selling. In fact she is helping us buying a house. Uzzil is the best agent I’ve worked with – ever! She was very patient, kind and knowledgeable. She worked tirelessly to find my family our new home over a 6 month period – anyone else would have just lost interest. I can’t recommend her highly enough!